Playing Scrabble for over 10 years sure has its advantages. You become strategic, efficient, and ready to pounce on opportunities. And most importantly, it helped me become a better writer. One of the many beauties of playing Scrabble is that you can swap all of your tiles or just the tiles you don’t want. Yes, you’ll lose a turn. But it’s better than being stuck with a bad set of letters that will slowly kill your chances of winning. It’s the same way with writing. If you’re looking at a bad sentence or a bad paragraph, don’t be afraid to chuck it. Sticking with a bad sentence or bad paragraph means you have to adjust a lot of times. You’ll waste time and energy. The words you’ll place on the board will determine your opponent’s next move. If the tiles you placed is open for exploitation, it will get exploited. Whether you’re a fiction writer, a content writer, a journalist, or a copywriter, your words should always generate action. Your words should move the reader from headline to the first sentence until the reader has reached the end of your work. If the words you used are open for exploitation (e.g closing the tab, switching to another activity), it will get exploited. There are times when your tiles seem like it has a bingo hidden in it. It just waits for you to be discovered. Your rack feels like it’s trying to provoke you. You know you’re close. Getting all those 7 tiles on the board is a different high. So you decided to pass. Most of the time, you won’t get the bingo. And by the time you successfully forced a bingo, you’ll find that your opponent is now light years ahead of you. You know this happens to most writers. Don’t let the possibility get the better of you. Make the most of what you have in the moment. When you force a topic or a plot, words tend to dry up. It will lack the flair and the flavor that makes writing an art. Worst of all, your readers will notice. Instead of forcing it, continue to do your work. Let the thought simmer. By the time the possibility came back and you’re ready, it will be yours for the taking. In Scrabble there are 2 killer tiles that get wasted by novices: The blank tile and the letter ‘S’. These novices waste these tiles just by merely completing a low-score word. Just to show off that they know the word. But you see, there’s no sense in playing the blank tile or ‘S’ if it’s not at scoring at least 30 points. Otherwise, you’re just wasting a precious tile. We all see writers who try to sound smart by using foreign terms and legal jargons that are irrelevant and unnecessary to the sentence or the overall theme. Don’t be that kind of writer. It’s a battle of words. A wider vocabulary means more weapons at your disposal. I always surprise myself that I actually knew words I don’t know the meaning of. It felt like I’ve read them over and over again and somehow managed to seep into my subconscious, ready to deploy when I’m playing Scrabble. It’s the same when writing. Reading a lot gives you a lot of advantages. You have more words that would give impact, color, or flavor to your sentences and paragraphs. Reading a lot exposes you to a lot of writing styles and techniques that gives you an eerie sense of natural flow when writing. If you read a lot, you’ll understand. 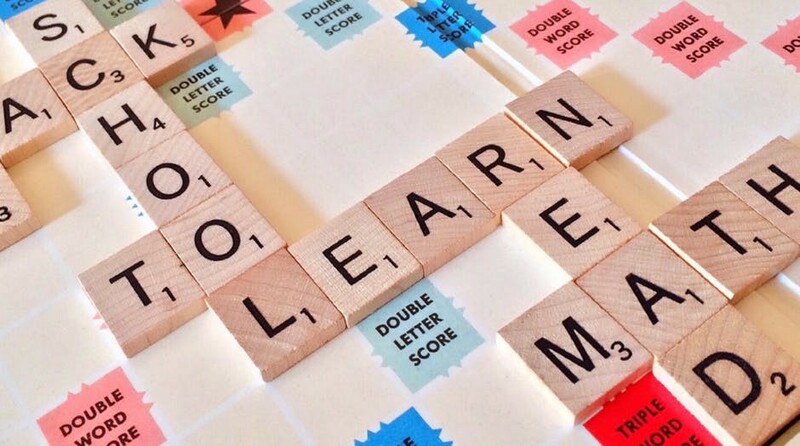 You won’t be a competitive Scrabble player if you don’t know all of the two-letter words and the majority of the three-letter words for starters. It’s the same way with writing. You start with the fundamentals: Punctuations, Tenses, Prepositions, and what not. You’ll need these before you can build your way up towards Grammar, Style, and Composition—The point where you can finally resonate with your readers, compel them to take action and change their lives. I’ve played a lot of Scrabble games that use different dictionaries: TWL, Sowpods, Merriam-Webster, and the official Scrabble dictionary. Now, there are certain words that are available in one dictionary and isn’t available in another. The word ‘ZO’ is available on the official Scrabble dictionary, but you can’t play it on TWL. What I’m trying to say is that you should know the field you’re playing in. More information means fewer surprises. There are a lot of rules in writing that you can throw away depending on your audience and your goal. Copywriting is all about harnessing and channeling emotions towards a certain goal, that kind of approach won’t work in technical writing. The beauty of poetry can be found in calculated vagueness, but you will have a hard time winning people over if you do it in your essay. Always know your playing field. More information = fewer surprises. Knowing how to finish the game is crucial especially in Scrabble. When you’ve used up all your tiles before your opponent, the total value of your opponent’s tiles will be deducted from his score and added to your score. Knowing how to force your opponents’ hands, avoiding potential pitfalls, and opening up spaces will play a decisive role in your Scrabble Win/Loss ratio—if you care that much about your Scrabble performances. In the world of writing, the way you ended your work will dictate how your writing will be treated. For copywriters, their call to action will determine whether the reader will sign up, buy, or walk away. For authors, the ending will determine if everything their readers went through was worth it. For essay writers and bloggers, their conclusion will determine if their readers will get takeaways from their post. Are you now a better writer or a better Scrabble player?